Christmas has come and gone. No doubt many a beer geek received beer related presents ranging from beers to books to glasses to the occasional gimmicky present. One such present I received was a beer bread mix. All you had to do was add beer and bung it in the oven for three quarters of an hour. The only downside is if you make it too early in the morning, it’s hard to do Keith Floyd impressions without raising eyebrows. 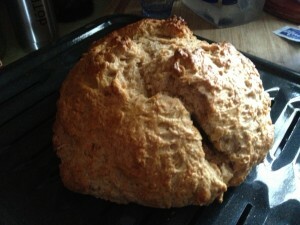 I tried it out this morning as I wanted some fresh bread, which can be hard to come by in this part of the world (i.e. Nashville). 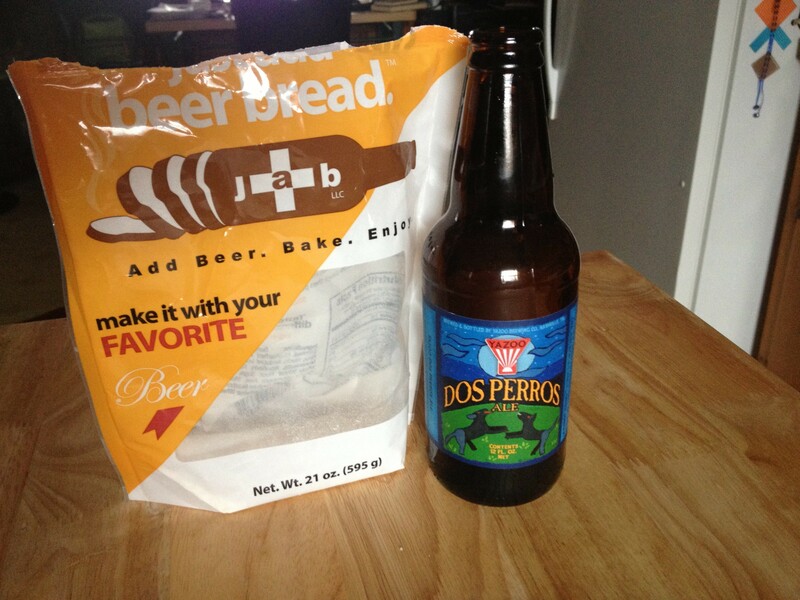 So I decided to use a local brew, Yazoo’s Dos Perros Pale Ale to create the dough. It’s a dark, bready ale with the added benefit of being in the fridge. Yazoo opened in 2003 and Dos Perros and the Pale Ale are perhaps the most likely Nashvillian craft beer to be seen on tap around the city. There’s nothing like the aroma of bread baking in the oven and after next to no time (5 mins prep & the allotted cooking time), the bread was ready. Using a prepared mix may be sacrilegious to skilled bakers and those who watch the various bake-off shows. However, it’s a nifty product, albeit any bread mix would do the same job.